It may be hard to believe but the first electron microscope was developed by German physicist Hans Busch in 1926 with a prototype built by Ernst Ruska and the electrical engineer Max Knoll in 1931. In 1933 Ruska built an electron microscope (or EM) that surpassed the resolution which could be achieved with a light microscope. 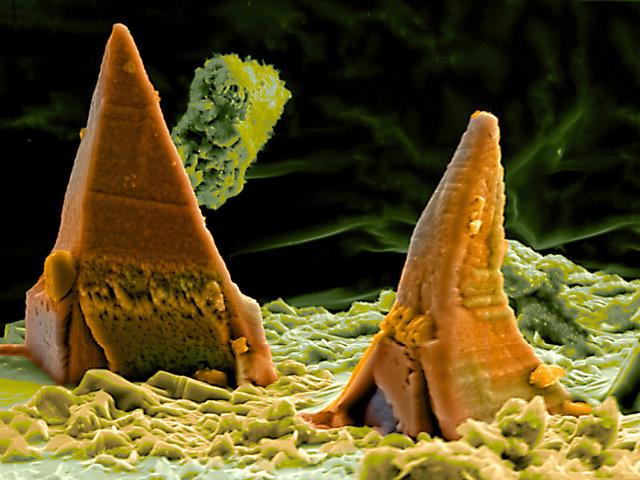 Yet perhaps even Ruska could not have envisioned future developments, which mean that today we can see things such as the zinc oxide particle (above) in more detail than ever before.